Take a limited amount of isk and through market trading increase that isk over time. With a very small amount of skill training you can be working the market quiet effectively. At first you may only be trading a few million isk, with patience your isk pile is going to grow. 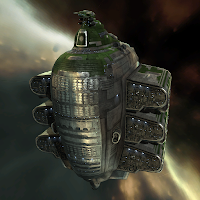 If your trading in bulky things like minerals your going to need an industrial, other wise I stick to a simple frigate, they travel much faster. For example, implants are extremely small. Though be careful and don't fly afk or carry really expensive items other wise someone could suicide gank you up for those expensive implants. Trade - Knowledge of the market and skill at manipulating it. Active buy/sell order limit increased by 4 per level of skill. Broker Relations - Proficiency at driving down market-related costs. Each level of skill grants a 5% reduction in the costs associated with setting up a market order, which usually come to 1% of the order's total value. This can be further influenced by the player's standing towards the owner of the station where the order is entered. A calculator - whether you use a handheld or the one on the computer. Helps to calculate margins. A pen and paper - write down your notes you could do this on text doc or computer file too. A spreadsheet whether excel or google docs either works. If you want to really start getting advanced and tracking your trades you could start working with a spreadsheet. 1,320,000 isk plus, however little or much you want to invest in trading. You could spend 15 minutes a day quickly log-on check your station trades and log off. You could spend 15 hours a day running items from Jita to other markets all over the game. Its your choice its a sandbox remember. Eve Trade Hubs based on market volume in the system.